In the words of Little Saturday’s Laura Mascelle, “finding the right massage therapist is like finding the right hairdresser, the right yoga teacher… they just get you! 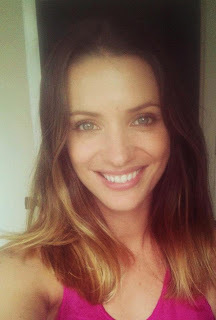 You can relax and trust them every time and more importantly feel fantastic when you leave.” Well I found Laura at Ponsonby’s Urban Ashram in Brown Street - where I visit the ‘right’ yoga teacher for me, the wonderful Nikki Ralston - and absolutely loved her style, her grace and her poise. And to say she gives a killer massage would be an understatement! I decided to have a chat to her about what she does and what motivates her, and if you’re in the market for a great massage therapist then read on - Laura is one of the special ones indeed. How long have you been working as a massage therapist? I trained at Elite International as a beauty and massage therapist nearly 13 years ago – WOW that’s crazy where has 13 years gone?! Has it always been your first love? It’s been a love in disguise for me. I didn't study beauty therapy because I wanted to be a massage therapist, I studied because I loved skincare and was fascinated with how the body worked. When I started working I was always given great feedback from my massage clients and the love has grown from there. How would you describe your style of massage? The standard routine is not good enough for me, most massages I've had just seem to go through the paces/movements, making it seem cold, impersonal and disappointing. I really listen to my clients concerns and take note of their energy as soon as I meet them. Overall I want them to feel deeply relaxed, calm and re-energised when they leave. That means spending every minute of the massage in tune with my client and putting the small touches together to create a warm, quiet environment, and giving the massage I would want to receive! What kind of people come to you for massage? I think there are two types of people who I see – irregular clients who are about to explode from stress and have booked a massage to save themselves, and regular clients who know and feel the benefits of massage and come regularly to maintain a healthy mind and body, I think we all want to be the regular client. You mentioned to me that you would like to own a shop one day, what sort of shop? Yes I am so excited and passionate about this. I created Little Saturday about 4 months ago now, and at the moment I am massaging and write a blog. My dream is Little Saturday will be a boutique studio/store that will provide complete wellbeing workshops, massage, nutritionists and be stocked with inspirational health and wellbeing books, skincare, healthy food products – it will glow with what it represents; happiness, health, wellbeing and the little things. I want to live there! How much do you charge? $110 for 60 minutes or $160 for 90 minutes. And last up, what is the best way of getting hold of you to book? Sometimes I feel like every woman and her dog is flogging a new BB cream, but when the bigger brands hold off for a while and then unleash a truly great one? Things get interesting! 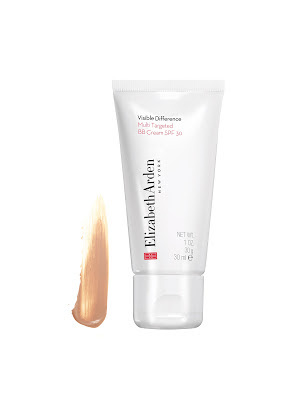 The latest I’ve got my hot little hands on is by the legendary beauty name Elizabeth Arden, who has recently added Visible Difference Multi-Targeted BB Cream SPF 30 to its Visible Difference line of skincare essentials. “ Marrying the brand’s 100 year skincare expertise with the natural coverage of a sheer foundation, the formula instantly hydrates, brightens, primes and protects skin for a flawless-looking complexion,” is what the press info says, and it definitely does all that - and beautifully I may add. Suitable for all skin types, Visible Difference Multi-Targeted BB Cream SPF 30 is a multi-tasking and total skin balancing solution that targets and treats users’ specific—oily, combination, dry—skincare concerns for an even, glowy complexion. Formulated with hyaluronic acid and key anti-aging ingredients, it comes in a lightweight buildable formula that - unlike some brands - easily blends into skin. Skin-enhancing mineral pigments are in there to help blur imperfections and diffuse fine lines (love that), whilst an antioxidant-rich Vitamin C derivative is included to brighten. It also has SPF 30 UVA/UVB broad-spectrum protection, which is essential and a major in my book. Shade 1 is ideal for very fair complexions with pink undertones, Shade 2 for fair-to-medium complexions with golden beige undertones and Shade 3 for deep complexions with golden undertones, and I’ve found that Shade 2 is perfect for my skin right now but could easily be warmed even more with bronzer come summer. Fingers are the best application tool in my book for this little wonder, but always remember to wash and dry hands first to prevent bacteria transfer. Then apply a pearl-sized amount of product to the face for a sheer veil of colour. For medium coverage, an additional layer can be added on top, and if you tend to suffer from very dry skin like me you can prep skin with a light moisturiser prior to BB application for a smoother, more even application. Like any other tinted-moisturiser or foundation application, you can seal it all in with a translucent or mineral powder, which I’ve been doing in the evenings. So there you have it - not “just another BB” after all, and in store now. Anyone that checks in here regularly will know that I’m a huge fan of oils - body oils, hair oils and facials oils - and love the fact that nine times out of ten, they are brilliant multitaskers and can be used on the whole family. Sweet almond oil was one of the first oils I started using in a beauty sense many years ago, and it is still a big favourite. Pressed from the nut kernels of the Sweet Almond tree, it is rich in essential fatty acids and anti-oxidant rich vitamin E - meaning that it easily penetrates deeply into the skin to protect the skin from drying, improving the skin’s barrier function and supporting natural processes. It’s also one of the less pricey oil options, and that’s why Weleda’s Almond Soothing Facial Oil - at just $26.50 for 50ml - is my ‘steal’ of the week. The perfect pick for allergy-prone, sensitive, inflamed and dry skin, it absorbs super quickly and works in harmony with sensitive skin to boost the skin’s natural protective function, whilst Blackthorn Blossom is included in the mix to instantly aid and support the skin for long lasting balance. Good stuff! And now for the multitasking part: this little wonder is suitable for daily use as an alternative to moisturiser in cold weather, as an intensive skin treatment or as an eye make-up remover when you apply a few drops to a moistened cotton pad. It can also be dotted on damp skin and layered under a night cream for an extra surge of goodness and absorbs quickly so is fine for use under makeup. If you’re in need of a little boost now the weather is dropping then I highly recommend you pick a little bottle of this sweet stuff up. Picked by Star Beauty Awards, Teen Vogue Beauty Awards, Cosmopolitan UK and Glamour UK as the best mascara release of 2012, Benefit They’re Real! Mascara is a formula I have instantly fallen head over heels in love with. A deep, jet-black mascara that lengthens, curls, volumises, lifts, and separates lashes for what the cheeky-but-clever company calls a “spectacular ‘out-to-here’ look,” it seriously gives you lashes you never thought you had. I was introduced to it at a meet and greet with Benefit Australia’s Jessica Bok last week, where I received one of the best brow shape and tints I’ve ever had and left with some wonderful new treats to play with. Thus far, the incredible They’re Real! stands out as my fave, mainly because I love a big, fat lash look and this does that with nary a flick of the wrist. It has a specially designed brush that features staggered bristles that grab close to the root, boosting length and volume beyond belief. Then, the custom-domed tip uses precision bristles to lift, define, and curl even your tiniest lashes. The end result is a glossy, jet-black look that is long-wearing and super comfy to wear, and after just a few days’ wear I can confidently say that it won’t smudge, clump, or dry out. To get the most from this little beauty, position the wand horizontally and wiggle from side to side and base to tip to achieve maximum volume, length, and lift. Then, hold it vertically and stroke upward to curl and separate. This formula is multi award winning with good reason and gets major thumbs up from me - and if you haven’t checked out New Zealand’s new Benefit counter at Auckland’s Smith & Caughey’s Queen Street then I highly suggest you do, ASAP! I’ve lived my whole life with allergies, and as long as I can remember have dreaded everything from pollen to cat hair coming within a football field’s reach. It’s not just seasonal for me, so I’m always on the lookout for an alternative to the usual antihistamines and nasal sprays that I was dependant on for far too long. The latest product that I’ve been using is GO Healthy GO Allergy Support, which is a clever formula jam packed with allergen-busting ingredients to help clear respiratory passages. Key natural ingredients like Horseradish, Garlic, Fenugreek and Quercetin are in there at triple strength levels along with valuable extras like Marshmallow root to help to soothe and clear mucus, Histidine (a natural anti-histamine that supports the body’s response to allergens) and of course Vitamin C, which supports normal histamine levels and the body’s response to allergens. Another magical component of GO Healthy GO Allergy Support is the herb Eyebright, which does exactly what is says – naturally soothes the tired and troubled eyes that often come knocking with your average allergy. 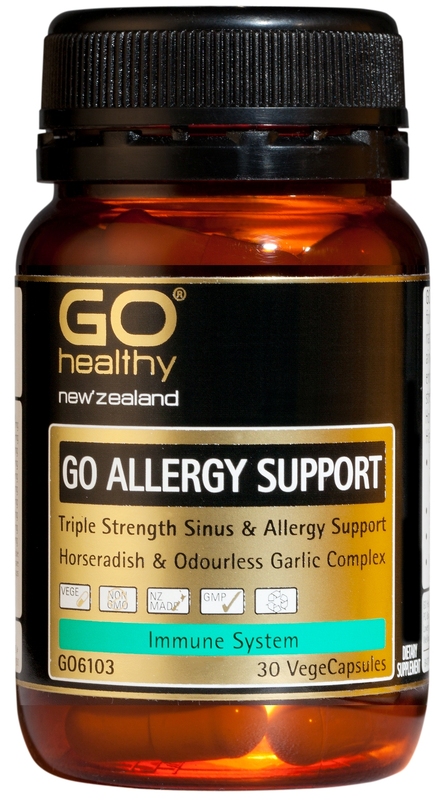 This formula is also suitable for vegetarians and vegans as Allergy Support comes in New Zealand made GO Healthy VegeCapsules, which are made from non GMO vegetable cellulose and 100% free from animal products such as gelatine. If you’re a sniffler like me, check this out. CND seriously revolutionised the nail salon industry when they brought Shellac into the world a couple of years ago, a brand name that’s now synonymous with seriously hot shades and a picture perfect result that lasts. When I started getting gel/polish hybrid manicures and pedicures I quickly became hooked, and now CND are poised to do it again with a new product called VINYLUX. VINYLUX is what they are calling a “Weekly Nail Polish” that uses no base coat and a topcoat that gets more durable with natural light exposure. Did you get that last bit? As in, technology that gives long lasting, high gloss wear with no UV/LED exposure and it removes like regular nail polish so they whole shebang can take place at home? I was sold straight away, but wanted to know - how the hell does it work? 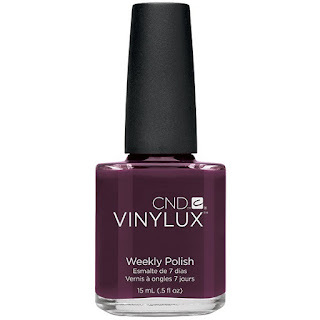 VINYLUX Weekly Polish comes with a Weekly Top Coat, they are a system that is uniquely designed to work together. Exposure to natural light secures the patent-pending ProLight technology, creating an enduring, long-lasting polish. ProLight creates a powerful network of cross-linked polymer bonds that build resistance to chips and enhance durability with exposure to natural light over time. Clever stuff. So unlike gel polishes, you can change it when you want to, and unlike regular nail polish, not because you have to. It’s easy to use as well, just apply two thin coats of VINYLUX Weekly Polish and then one coat of VINYLUX Weekly Top Coat. Around eight and a half minutes later you are totally good to go. This top coat then creates an outer shield that protects your manicure from scratching, denting, chipping and dulling for up to a week of wear (I’ve had longer), way longer on your toes. According to the company VINYLUX is best removed with CND Shellac Nourishing Remover or Acetone, and using quality cuticle oil like SolarOil will enhance wearability because it improves the health of the nail and keep everything looking tidy and sleek. I’ve been using the shade Fedora (above) for a while now and have to say that the results are seriously good. And after having gel/polish hybrid products on my fingers and toes for well over a year now it is a joy to be able to take a break from the salon visits - and the natural nail damage - and have a play with colour all on my own. VINYLUX is launching with 62 colours too, and I reckon one will definitely not be enough! For a stockist near you have a peep here. I am a huge fan of YSL’s beauty releases, which over the past few years have been the perfect mix of classic Parisian chic and modern day edge. Their ad campaigns are amongst the sharpest in the beauty business as well, and I particularly love this shot of Cara Delevigne for the YSL Baby Doll collection (above), which hits New Zealand on July 22. The brand new YSL Baby Doll Mascara is being released along with the Baby Doll Collection, and when some samples of the line up arrived on my desk yesterday I immediately got excited - it is beautiful. Just beautiful. The mascara - known as Mascara Volume Effet Faux Cils Baby Doll - is available in three shades and has a rubber bristle wand, which is definitely my preferred type. It is quite narrow but lengthens nicely and gives great separation. It gives a bit of volume but not too much (there’s that classic Parisian chic element creeping in) and from my wear so far there's no clumping and no flaking throughout the day. It feels good on the lashes - not dry or crunchy - and the next level gorgeousness of the packaging is an added bonus! The experts say to apply it in small successive strokes without pausing between applications, and so far so good. Also in the small-but-perfectly-formed collection is a liquid eyeliner called Eyeliner Moire, in four shades that can be worn alone or even together. The Light Golden Brown is my favourite thus far, and is ideal for day or can be amped up for night. Last up, there is a limited edition nail polish in the collection as well as a limited edition Rouge Pur Couture Vernis à Lèvres, which is one of my most-used lip formulas and the answer for women who want it all when it comes to lip glosses/lipsticks and lip stains. Not exactly lipstick, not exactly gloss, and so much more than a simple lip stain, it has a soft, hydrating feel with a light glossy finish and an incredible wear time. It has none of the “drying out” factor common to so many lip stains, and has a super natural look whilst combining all the elements of a gloss, stain, and creamy lipstick into a single product. This hybrid has the long wear of a stain, the creaminess of a lipstick, and the shiny finish of a gloss, and is now available in the beautifully warm, deep pink Rose Baby Doll. I’m in heaven! Apparently the choice of Victoria’s Secret Angels and brides-to-be alike, oxygen facials are high-performance cosmeceutical treatments that carry active ingredients deep into your skin via oxygen molecules. They promise softer, smoother skin that feels cleaner and fresher than ever, and are about as non-invasive as it gets. This means that they are pretty much suitable for all skins, which is rare for many effective beauty treatments out there today. They are also the perfect treatment for skin that is sluggish, clogged or prematurely aging, and one of the key facials - under the name Oxygenation Facial - on the menu at Parnell’s Forme Spa. When I was offered the chance to try one I was definitely keen - it might not give me Miranda’s bod but hey, I’ll take her baby soft skin! After I fill out a highly detailed pre-consultation form, my therapist Mei at the beautiful Parnell branch of the popular spa chain takes me through to a treatment room and we get started with a traditional double cleanse and exfoliation with Bioelements products. I was familiar with the brand from a launch years ago, and it is one of Forme’s brands of choice due to its low level of irritation for most skins. The machine however is the work of Australia’s Intraceuticals, and an ampoule of their serum for sensitive skin is deemed the best choice for my face before the main event begins. The sensation is cooling and feels almost like suction - but isn’t - as a small nozzle works its way over one side of my face and neck, pushing out the appropriate infusion. Hyperbaric (above atmosphere pressure) oxygen adds a cooling, calming effect and generates a pressure bubble to help saturate skin tissue with the aformentioned infusion, containing hyaluronic acid and soothing extras. All up it takes about 45 minutes and when I look in the mirror my skin definitely looks clearer and plumper, with fine lines definitely hiding for the next couple of days. Repeat visits are recommended, with visible results said to extend over time, but the oxygen facial also works as a one-off treatment for special occasions (Madonna reportedly owns three machines and takes one on tour to plump up pre-show). As with any treatment before a big event such as your big day, a trial is a good idea, although this facial has a much lower risk of breakouts than most as it’s all about giving as opposed to taking away. An Oxygenation Facial at Forme Spa Parnell will set you back $145.00 and you can find out more here. I’m a huge fan of Spring FootSpa Queenstown after visiting there last year, and also a huge fan of US-based spa brand Bliss whose products I lust after on a very regular basis. Every time I visit the States I try and get along to a Bliss spa for a treatment (the San Francisco location is my fave), and have always lamented the fact that they aren’t available in New Zealand - until now. In a wonderful meeting of beauty minds, Spring FootSpa Queenstown are now offering new menu of wedding packages, which is made up of some very special treatments courtesy of Bliss. The Bliss brand prides itself on advances in skin and body treatments that deliver real results, and Spring FootSpa is the first spa to bring Bliss treatments to New Zealand, and also have a wide range of Bliss retail products for sale. The five decadent new packages are custom designed for preparing brides-to-be, grooms-to-be, bridesmaids and mothers of the bride for the big day. Spring FootSpa’s expert wedding spa planners have put together the packages to ensure the whole bridal party sparkles. They include Aisles Ahead, The Prenup (for him or her), Perfectly Groomed, M.O.B. Mentality and All Maid Up. And for your special day, the spa is also offering 20% off the regular retail price of the treatment packages. Spring FootSpa - and East Day Spa - owner Ina Bajaj says that her favourite treatment is the complexion-reviving Bliss Instant Radiance Oxygen Facial, which features a resurfacing peel, oxygen wrap, extractions, massage, and finishes with Bliss’s famous Triple Oxygen Cream face and eye mask. A series of six of these facials is reportedly the perfect way to ensure smooth, glowing skin on your big day, and it sounds like pure heaven to me - the woman most definitely knows her stuff! A series of six one hour Bliss Instant Radiance Oxygen Facials, approximately one facial every month. This complexion-reviving facial starts with a resurfacing peel, followed by an oxygen wrap, the necessary extractions, facial massage and Bliss's famed face freshening Triple Oxygen Cream, face and eye mask. It's like a breath of fresh air for your face - literally. Signature Spring Pod Massage - Either full body or concentrated on a particularly achy area, they combine long flowing strokes, rhythmic movements and yogic stretches for a marvelous muscle release. Bliss Hot Almond and Milk Pedicure - Milk (or, specifically, lactic acid) does a pedi good in this hour-long sole-spoiling treatment. Following an intensive dry-buffing, feet are softened in steamed whole milk and mega-moisturising almond oil, then sublimely scrubbed and taken to the pinnacle of ‘pedicure’ with punctilious preening polishing. Shellac Manicure with French Polish - Like any quality polish application, the Shellac system features a base coat, colour coat and top coat. Together with a UV Lamp, they comprise the breakthrough in resilient colour that remains flawless for two weeks, dries instantly and removes in 10 minutes. Signature Spring Pod Massage - Either full body or concentrated on a particularly achy area, combining long flowing strokes, rhythmic movements and yogic stretches for a marvelous muscle release. The MANicure - Ideal for hard working hands. Nails are tidied and cleaned for a well-groomed, spotless appearance. Bliss The Youth As We Know It Pod Facial - Their ultimate anti-aging treatment targeting tone, elasticity, volume, fine lines and wrinkles - all the way to your décolleté. Includes a gentle but effective peel, extractions and a high tech soothing mask. Also suits sensitive skin. The Sole Man Pedicure - Men’s pedicure with callus remover add-on treatment. Bliss The Youth As We Know It Facial - Their ultimate anti-aging treatment targeting tone, elasticity, volume, fine lines and wrinkles - all the way to your décolleté. Includes a gentle but effective peel, extractions and a high tech soothing mask. Also suits sensitive skin. Shellac Manicure - Like any quality polish application, the Shellac system features a base coat, colour coat and top coat. Together with a UV Lamp, they comprise the breakthrough in resilient colour that remains flawless for two weeks, dries instantly and removes in 10 minutes. Bliss Hot Almond and Milk Pedicure - Milk (or, specifically, lactic acid) does a pedi good in this hour-long sole-spoiling treatment. Following an intensive dry-buffing, feet are softened in steamed whole milk and mega-moisturising almond oil, then sublimely-scrubbed and taken to the pinnacle of ‘pedicure’ with punctilious preening polishing. Spring Pedicure - Warm sugar scrub infused with exotic oils buff away old, dull skin on the feet. Nails are shaped; cuticles cared for, and then experience a taste of East massage and nail polish. Heels may be buffed if you wish, as time allows. To find out more of book for any of the above, visit here. Choosing supplements can be confusing – there are 1000′s to choose from, so many brands, take once a day, twice a day, pill form, liquid form, gel or powder form… all with different claims of how they can help our bodies and brains function better, work faster and (fingers crossed) last us that much longer. How do we know that what we are taking is going to help us though - let alone be actually good for us? At the moment people seem to be mad for anything “green”, with almost every supplement company known to man offering a variation of “green powder,” which is basically a powder made with dried grass, dried grass juices or dried vegetables and occasionally, algae. Most of these powder are designed to make your body more alkaline and give you nutrition you can't find elsewhere, because despite our best intentions it’s often hard to stick to a flawless diet every day of our lives, and it’s nice to know there is someone out there watching our backs! I found out about New Zealand made Good Green Stuff from Julia Matthews of the blog juliaandlibby.com that she writes with her sister, and thus far I am loving it. Behind it is local naturopath and author Cliff Harvey, who formulated Good Green Stuff along with renowned Naturopath and Nutritionist Kira Sutherland. They like to call it “nutritional insurance”, and treat it as a green superfood that effectively replaces a multi-vitamin/multi-mineral as it’s super blend of all your essential nutrients in one place. Good Green Stuff comes in powder form and you can mix it just with water (the blend of fruits combined with added stevia, pineapple juice and vanilla mean it is pretty palatable), with milk or throw it in a smoothie - my favourite option. 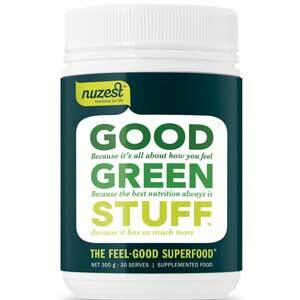 One of the best things about Good Green Stuff is that it is alkalising. When your body is more acidic, it is more susceptible to disease and illness, and alkalising the body can help keep things in check. So... get your greens the easy way - you need this little baby in your life, so get to it! You can grab some here. When you’re a product that hasn’t been messed with in 45 years AND created by a company as scientifically backed as Clinique, you know you’re doing something right and that it’s not complacency that still has you looking and feeling exactly the same as you did all those years ago. And when you’re universally loved by millions of women around the globe, why fix what isn’t broken? Well in the case of Clinique’s Dramatically Different Moisturizing Lotion, it was just its time. And the “fix” has been six and a half years in the planning, and completed with some serious consideration in mind. The iconic lotion has been dermatologist-reformulated to deliver even more dramatically different results, as in a 54 per cent improvement in skin’s barrier strength in 8 weeks without changing the famously silky texture. Clinique scientists work closely with Clinique’s guiding dermatologists Dr. David and Dr. Catherine Orentreich, the son and daughter of the celebrated dermatologist Dr. Norman Orentreich who worked with esteemed magazine editor, Carol Phillips and the Lauder family to develop Clinique in 1968. Dr. David and Dr. Catherine run the Orentreich Medical Group in the same Fifth Avenue offices that their father practiced, and see patients of all ethnicities, skin concerns, skin types and ages from around the world. “Patients were coming in more and more with manifestations they described as redness, itching, burning, breakouts, dryness, dullness…in other words; unhealthy skin. The dermatologists attribute these symptoms to one thing: a weakened barrier,” says Pardo. Skin sensitivity can be the result of everything from environmental aggressors to climate change and travel, as well as lack of sleep, a poor diet and coping with the stresses of daily life. All of these culprits take a toll on the skin. 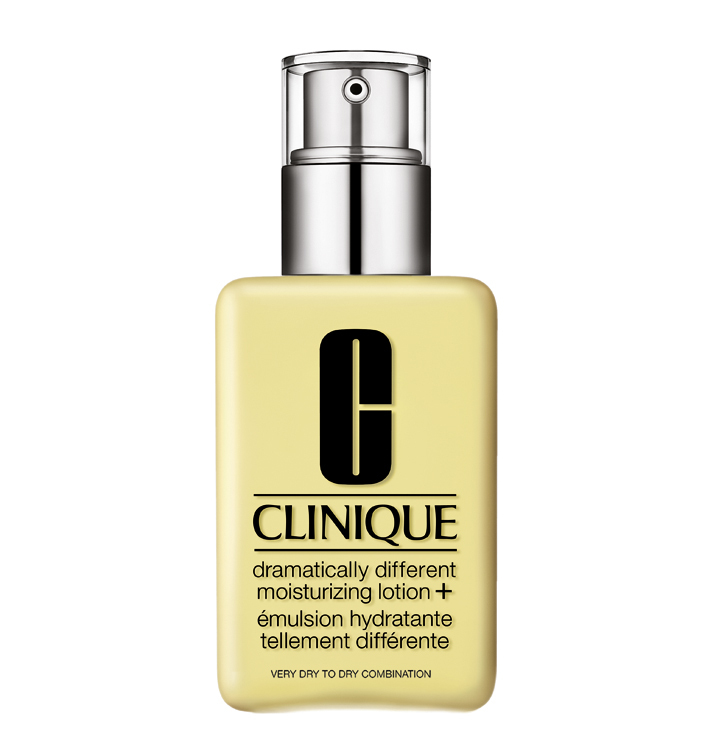 As a leader in treating dermatological concerns, Clinique felt a responsibility to address the skin’s barrier to counteract all of the above, as well as boost the moisture levels of the iconic DDML. The Barrier Strengthening Complex in the new DDDM+ is a blend of sunflower seed cake, barley extract and cucumber extract that helps to strengthen the skin’s barrier, imparting resilience and resistance to environmental stresses. The new moisturising ingredients are Hyaluronic Acid, Glycerin (a well known humectant that attracts moisture to skin) and Urea, a naturally occurring component in the production of skin’s own natural moisturizing factor (NMF). NMF ingredients mimic the function of healthy skin. So, for its fans, how does Dramatically Different Moisturizing Lotion+ feel in relation to the original? From my few days trialing it - pretty much exactly the same, which is what you want! Hydration levels are definitely up though, with the initial boost that comes with application lasting well on into the eve. And last but not least - the new formula is the same size at 125ml, but retails for just $69.00. Yep, that’s a price decrease - unheard of! 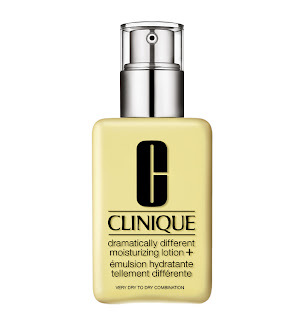 So get your excited pants at the ready - Dramatically Different Moisturizing Lotion+ will be landing August 2013 at Clinique counters nationwide. 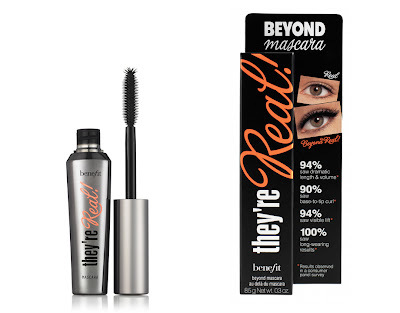 As a contact lens wearer, many mascara formulas that sound amazing prove to be the bane of my life. They certainly curl/plump/lengthen and pretty much everything bar doing the dishes, but this can come with flaking which isn’t ideal when you’re dealing with lenses and trying to keep things as sparkly and clean as possible. 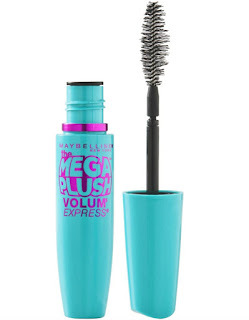 So, when I was at a launch yesterday for Maybelline New York’s latest and greatest for release in July, the product that really caught my eye - quite literally - was the Volum’ Express Mega Plush Mascara, which is a clever little wonder with a really rather reasonable RRP of $23.99. 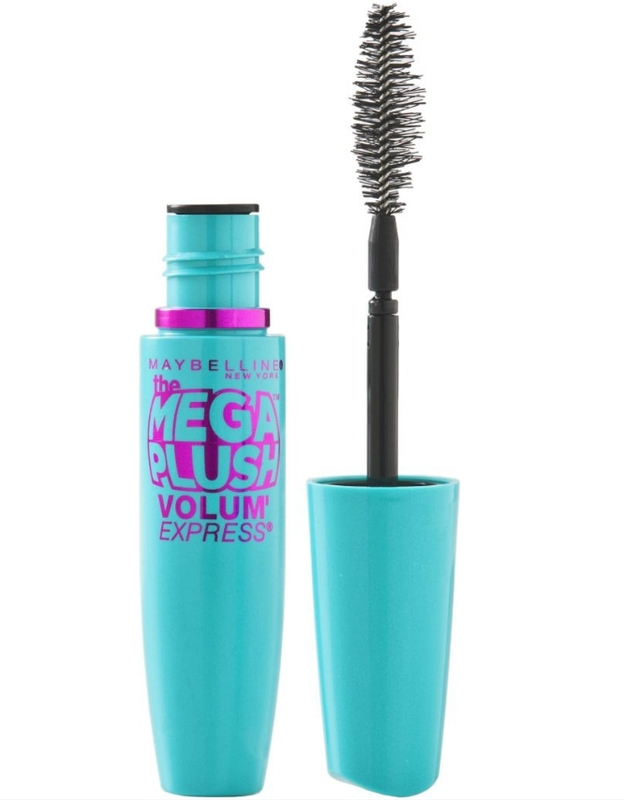 Maybelline New York is famous for their mascara, and for the innovation and thought that goes into each release. This new baby is the world’s first gel-mousse mascara – great news for those that can’t tolerate the flakes. With a unique formula that contains 40 per cent less wax, Mega Plush conjures up maximum volume without the downside of dry and hard waxes - as in no brittle or flaking lashes. It also has a flexible stem brush - their biggest yet - that absorbs shock to caress lashes for massive volume, and I couldn’t wait to give it a go. Over 24 hours later I am officially in love with this little tube of goodness, pretty much only taking it off to sleep! It is definitely a new favourite and one that is highly recommended - come July get in there and grab one fast! I was already a huge fan of the Pureology range of shampoos and conditioners when they launched their Colour Stylist styling collection, and fell equally in love with it too. This autumn they are introducing two new blonde-specific styling products to the mix, which is great news as I’ve just had a bunch of cheeky highlights put back in! Called the Highlight Stylist range (leading me to believe that it will grow in number pretty soon), it is enriched with a lightweight texture and highlight enhancers to create natural-looking hair with reflective shine and long-lasting multi-tonal colour. It replaces lost lipids and protein to strengthen and hydrate the hair follicle using the likes of porosity fillers olive, apricot, and jojoba oils to reduce light and deliver shine and natural food grade Red algae extract for lightweight touchable texture over the entire hair surface without dulling, mattifying or weighing it down. The first product is the Highlight Stylist Bodifying Luminator, which is a lightweight foam texturiser that boosts body and shine from root to tip without weighing down finer hair types. You just scrunch it into damp hair before styling for some serious body and even more serious shine - too easy. The second offering is the Sea-Kissed Texturiser, which is a non-stripping, salt-free tousle spray that boosts shine as it strengthens the hair fibre. It can be layered for as little or as much texture as desired without any weight or stickiness. Simply spray on to wet or dry hair and style as usual. I have one set of the Pureology Highlight Stylist range to give away, valued at more than $75.00. To enter just email your name and courier delivery address to helene@mshelene.com before 5pm next Wednesday, June 19 and you’re in the draw! As I have raved about many a time, I’m a sucker for a beautiful cleanser. 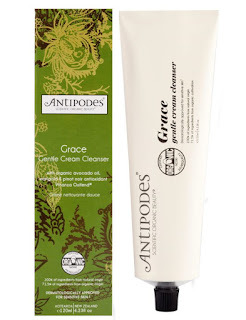 I’m a huge fan of Antipodes’ offerings in particular, and use their Butter cleanser almost religiously during the winter evenings when my skin needs a ton of hydration and love. So, I was VERY excited to hear news of their new addition to the Antipodes cleansing range, and even more effervescent when a sample arrived in the post! 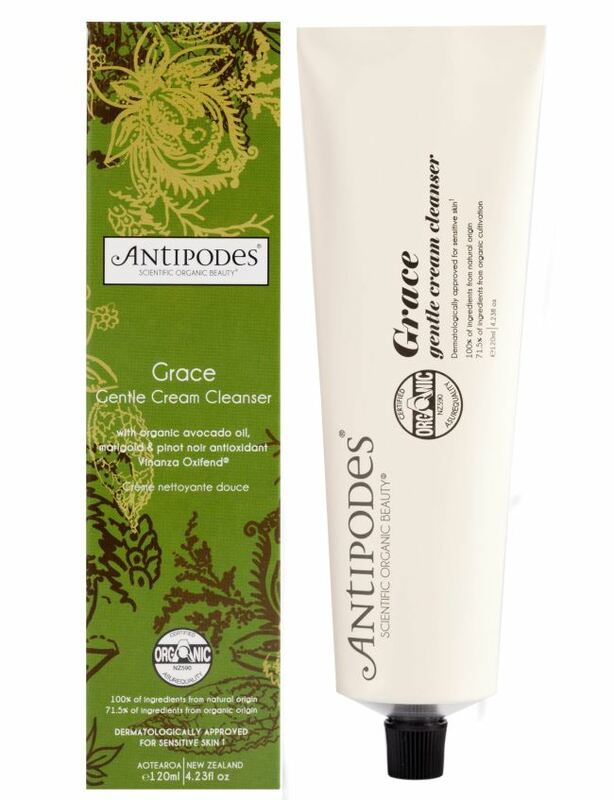 Known as Grace Gentle Cream Cleanser, it is a core component of the New Zealand-made, internationally adored brand’s Sensitive Skincare Collection, which was created especially for those who suffer from sensitive or sensitised skin conditions, due to genetic or environmental reasons. The soft and delicious, fully organic cleanser utilises a selection of New Zealand’s unique natural ingredients to do its job, such as manuka flower and award-winning Waiwera artesian spring mineral water. Add to that marigold flower, which acts as an anti-inflammatory and as an astringent, a blend of nutrient-rich avocado oil and Vinanza Oxifend - a super-antioxidant sourced from sun-drenched pinot noir grape seed kernels - and you have a soothing treat for anyone with skin that needs a little extra TLC. It is also a joy to use, with a creamy, luxurious texture and no need to use loads to get a result - although feel free to, it’s that good! Yesterday I was all about starting the day right with a luscious shower blend… today I’m all about baths - long, warm, deliciously fragranced ones! The reason is Weleda’s Refreshing Citrus Bath Milk, which is a reason to keep soaking if ever there was one. Reportedly “religiously used by Simon Cowell” to unwind and refresh each day (don’t hold it against them! ), this beautiful formula is bursting with essential oils extracted from Biodynamic Lemons from Sicily that give the milk its revitalising and enlivening citrusy fragrance. Lemon naturally regulates the skin's pH balance, cools and stimulates the skin and has an astringent and cleansing effect, so as well as smelling good this does lots more besides. Weleda Refreshing Citrus Bath Milk can also apparently be used as a refreshing pick-me-up at any time of the day by adding a few drops onto a moistened face flannel and either dabbing or wiping it gently over your face. I think this would be the perfect pick-me-up post-flight in particular - and a bath is always top of my list when I check into a hotel, no matter what time of day it is! Weleda Citrus Refreshing Bath Milk has an RRP of $29.50 for a 200ml bottle and is in store now. When you choose to use Dr. Hauschka products you are given the opportunity to go beyond beauty and depart on an aromatic journey - the fragrances of their formulas are just that delicious and evocative. The beautiful Body Moisturizer range that they launched last year was the most perfect example of that, and the newly formulated Body Wash collection that has just hit the stores takes that feeling one step further - and into the shower! 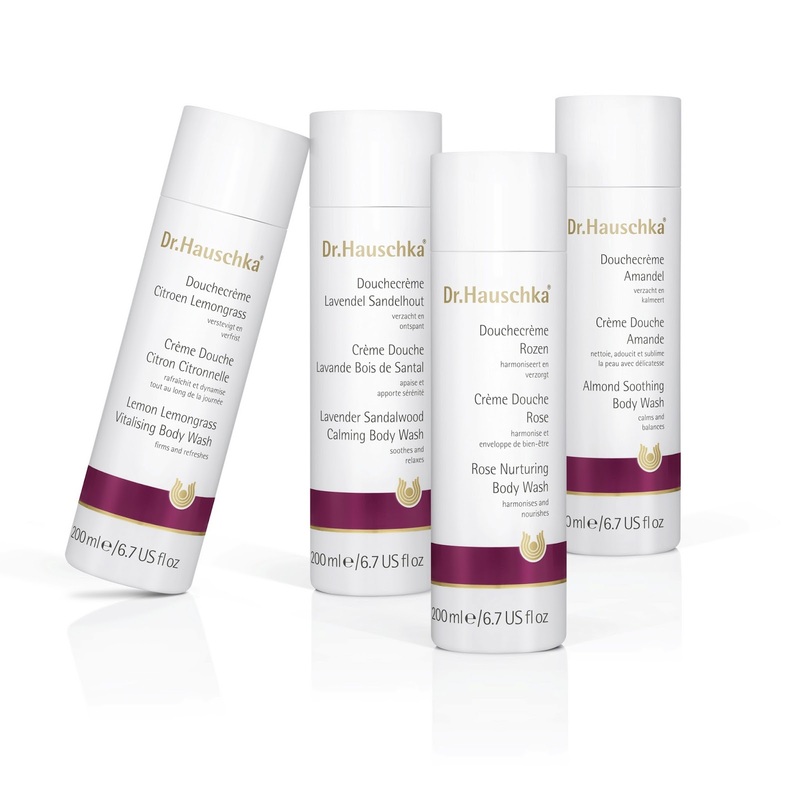 Creamy, soft and soap-free, they are ideal for fragrance layering with Dr. Hauschka Body Moisturisers and/or Body Oils, and now come in a sleek new 200ml bottle. All have an RRP of $29.00, which to me is a major steal given their amazing qualities and credentials - they were created by Jörg Zimmermann, perfumer for Dr. Hauschka Skin Care, and are independently certified to NATRUE and/or BDIH standards. At the moment I’m using Almond, which Zimmerman describes as “delicate and floral”, and evocative of “the early days of spring, when the radiant blue sky shimmers above a sea of delicate pink blossoms that appear to dance in the mild air. The idea represented by the composition with almond is the chiffon-like transparency of a pink rose.” He used bergamot, ylang-ylang and rose to interpret this floral chord, whilst a balsamic base of tonka bean and vanilla “sweeps us away to a sumptuous oriental palace and awakens memories of sweet, pleasurable indulgences.” Totally divine, really… and the perfect way to start the day. Nothing says warm winter nights in our house better than a truly exceptional Pinot Noir, usually teamed with and equally wonderful meal and a soft, cosy rug. It is my favourite wine variant by far, and I’m super fussy about my favourite tipples so when a winner comes my way I am fast a loyal fan. The latest I’m getting excited about is Allan Scott The Hounds Marlborough Pinot Noir 2011, which is a riot of rich Marlborough dark cherry and raspberry notes with hints of wild herbs. In essence, the perfect partner for elegant winter dining. An ideal match for rare beef or rich, gamey meats such as wild venison or - a favourite round ours - indulgent blue cheese, it is what you need to be pouring as the mercury drops with its bold, elegant flavours and subtly oaky finish. I’m getting thirsty just writing about it! 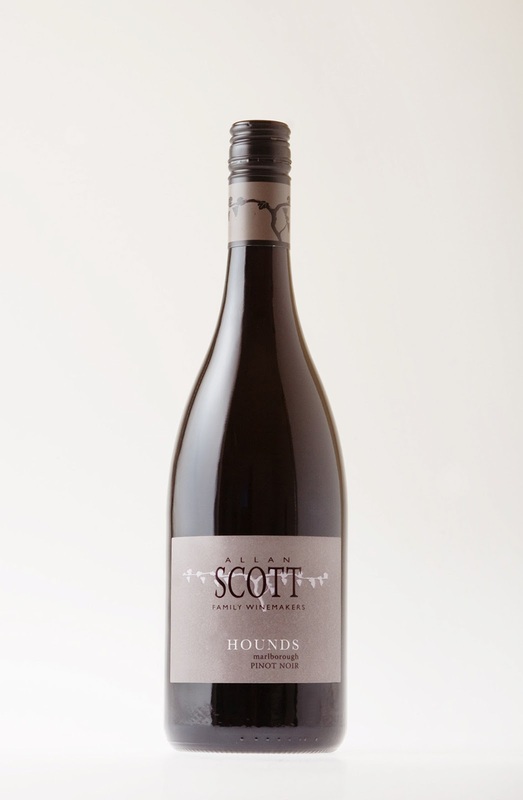 Allan Scott The Hounds Marlborough Pinot Noir 2011 (RRP $31) and the full range of Allan Scott Wines are available from Glengarry Wines and online at www.allanscott.com, and - conveniently - I have three bottles of this delicious little number to give away to lucky readers. Email me helene@mshelene.com with your name and delivery address and you’re in the draw. NB You have to be over 18 years of age to enter… Now get to it! Some of the most effective facials I’ve had are courtesy of the team at Louise Gray Skin Care, where their potion of choice is the legendary Dermalogica. It’s a brand that balances high performance and utmost care for the skin effortlessly, and seeing what new releases they come out with is always exciting. The latest is UltraSmoothing Eye Serum, which was developed for people who experience skin irritation and puffiness around the eye area but still want an eye cream that packs a punch in the anti-ageing fight. It has been formulated to ease fine lines and wrinkles, dehydration, and general loss of vitality and elasticity in the skin, and utilise’s the brand’s exclusive UltraCalming Complex consisting of Oat extracts, bisabolol, ginger extract and Red Hogweed to target the symptoms of inflammation. This works over time to help reduce and prevent future sensitization, redness and irritation. The serum also combats eye puffiness with its botanical extracts, specifically using two sulfated polysaccharides from Harpoon Weed (Asparagopsis) and Norwegian kelp (Ascophyllum), algae native to Ouessant Island off the Brittany coast of France. These botanicals are combined in the formula with Golden Chamomile (Chrysanthellum indica). In combination, these plant actives help increase the mechanical resistance of the capillaries, preventing leakage of fluids through the capillary walls that can cause puffiness. Clever stuff, and an absolute godsend for many of us in the morning. Last but not least, there are a boatload of powerful anti-ageing ingredients in there including Magnesium Ascorbyl Phosphate (MAP), a water-soluble form of Vitamin C, which is effective in low concentrations and is stable at a neutral pH. Unlike similar compounds that require a high and potentially irritating level of acidity to be effective, its neutral pH prevents further stinging, redness and sensitization around the eye area. The age fighting and soothing combination of actives are suspended in an Aloe Barbadensis leaf juice that helps soothe skin and cross-linked Hyaluronic Acid for moisture retention and free-radical scavenging; Carrot Root oil with added proVitamin A, completes the formula to help regenerate dry, stressed skin. But okay, enough with the science. It’s a beautiful formula to use and everything points to it being a pretty magical product for many of us out there that battle with seasonal allergies and that getting older thing. 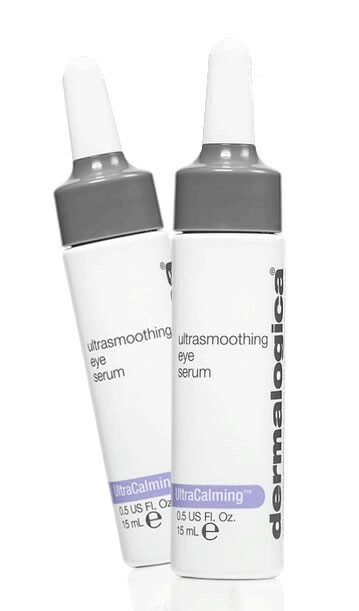 UltraSmoothing Eye Serum will be available wherever Dermalogica is sold and online from 1st of July 2013 with an RRP of $92.00.